Inheritance Tax has become a major political issue again in recent times. The precipitous fall in property prices rendered Inheritance Tax (IHT) somewhat irrelevant; as the values of houses fell, so too did the number of people affected by the tax. However, IHT looks set to be a focus for the point-scoring amongst politicians again, as house prices increase and more families are caught out. Inheritance Tax can be a very costly proposition. In 2008, the Chancellor announced that married couples and those in civil partnerships would be able to pass their Inheritance Tax allowance, known as the nil-rate band, onto their spouse or partner. This effectively means that the allowance for the surviving spouse is doubled. It is currently set at £312,000 for an individual, or £624,000 if it is passed on. This may seem like a huge amount of money, but once the value of the family home is factored in, along with any other assets, tens of thousands of households are threatened. Forward planning is vital if you are to ensure that your assets are passed on to your beneficiaries, rather than the tax man. Trusts are an important tool in the fight against the 40 per cent tax. In the past, financial advisors would advocate the use of a Nil-Rate Band Discretionary Trust to minimise an Inheritance Tax liability when passing assets between spouses or civil partners. However, since the Chancellor’s announcement these are no longer necessary for this purpose. It is worth remembering, though, that Nil-Rate Band Discretionary Trusts are still of use if you have a particularly large estate (that is, over a value of £624,000) and you are concerned about the tax bill that could be suffered by your spouse’s beneficiaries. Trusts are also particularly useful if you are not married or in a civil partnership. In these cases the doubling of the nil-rate band will not be of benefit to you. As such, a trust is amongst the best options for ensuring that your beneficiaries do not suffer. Discretionary trusts are generally used in these circumstances; they offer a lot of flexibility as the trustees, nominated by you, can make decisions regarding the disbursement of the assets. This adds an extra layer of protection, because effectively chosen trustees should be well versed in your wishes, and willing to carry them out. The process of setting up a trust is relatively easy. 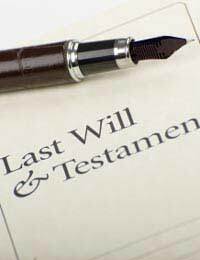 Many trusts are established through a will; these ‘testamentary trusts’ use the will itself as the trust instrument, and are actually set up, in a legal sense, upon the death of the settlor (that is, the individual establishing the trust). It is possible to do this yourself when you write your will. However, it is vitally important that the document is specifically worded in order to ensure that the trust is legally valid. As such, it is generally recommended that prospective settlors take professional advice. Inheritance Tax is a potentially very burdensome for your beneficiaries. However, with some forethought and a little work, there is no reason that your dependants need suffer at the hands of the tax man.